FAQ you... hehe. See what I did there? 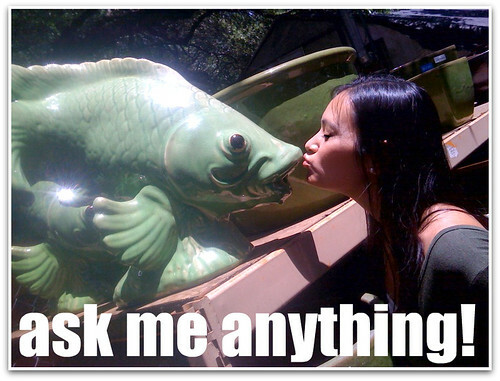 I'm updating my blog to include a FAQ's section. Go ahead. Nothing is off limits: blogging, fashion, personal, whatever. I'll try to get to 'em all, but I can't promise that I'll publicize every single question. Formspring is probably easiest, but feel free to leave your questions in the comments section of this post or to email me your questions, too. Video: But can she tap?